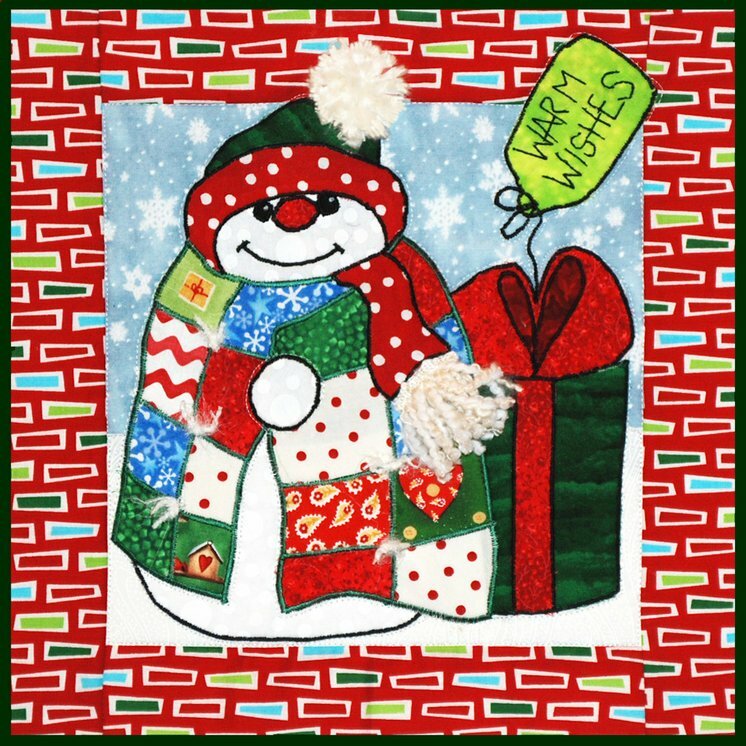 The snowman is ready for Christmas with his Holiday quilt wrapped around him and a large present! Designed to hang on the metal stands, these 12" x 12" can be made into wall quilts, pillows, table runners etc. There is no limit to the things you can make with these cute patterns.